Precision moulds for aviation, automobile and electronic industry. 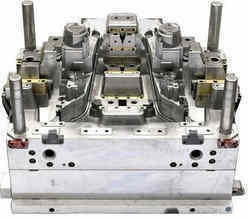 We have highly acknowledged organisation engaged in presenting a remarkable range of Precision Injection Mould. plastic parts used in electrical & electronic industry. Our tooling department builds precision plastic injection molds. Dies, Jig, Fixtures, Injection Moulding Tools, Etc. We are involved in the manufacturing of a precision engineered range of injection moulding. These are manufactured using premium quality materials and are highly acclaimed for durability, high tensile strength, accurate dimensions and superior performance. Our range is available in various thickness and grades and is widely demanded in various heavy engineering and casting industries. 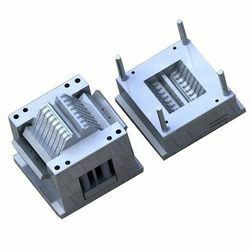 We are Manufacturer of precision injection moulds specially for insert mould, semi hot runner mould, auto unscrewing mould, multi material mould for various industries like :- Automobile, Electrical and Medicals etc. We develop molds for both injection and blow molded products. Our in-house molding setup along with expert mold designers ensure that we deliver high quality molds.